How was your day? What a seemingly innocuous question. Yet so powerful. Seth Godin poses this question at least five times in Tribes: We Need YOU to Lead Us. I wonder how many, like me, have been nudged to make a career decision based on this question? I’ve left positions for many reasons. But recently, I made my decision in direct response to being incessantly asked “How was your day?” My position was a unique opportunity to effect meaningful change important for our community, stakeholders, and profession. I valued the interaction and collaboration with my colleagues and had pride in the work we accomplished. However, over time I realized that I was less able to directly impact the cause about which I long had been passionate. Days were exhausting. unlikely to vary. In spite of being productive, days were simply not very fulfilling. But I had made a commitment to the organization and my colleagues. Then, I read Tribes. Now, I was suddenly and repeatedly asked this powerful question by Seth Godin! Good grief, was there no escape or end to the agony? But as I reflected on what I was feeling, I realized it was time for a change. As Godin writes, life is too short to not be happy—particularly when we have other options. Within my discipline, I had earned a reputation for leadership and being passionate about a cause I shared with my tribe. 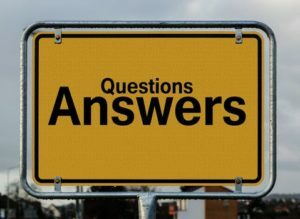 Godin’s question provided the kick in the seat that I needed in order to relinquish a wonderful position that would be a phenomenal opportunity for someone else–and to return to my wheelhouse and rabble rousing! I’m grateful to Godin, Sinek, and others who remind us that “life is too short” not to seek happiness and fulfillment. It is easy to be distracted by opportunities that siphon us away from our cause. Instead, for personal success, as well that of our cause, we must remain resolute and committed to our WHY–each contributing in our unique way, every day. So . . . HOW WAS YOUR DAY?